In the history, the Chinese martial arts developed from external power martial arts to inner power martial arts. Afterwards, Taijiquan(Tai Chi) was created with the development of inner power martial arts. And with the development of Taijiquan, there have been many schools of it which have enriched the Chinese martial arts. Among the schools of Taijiquan in China, there is one school that has preserved and developed the essence of Taijiquan, that has attached great importance to the skills of attack and defense, and that has taken preserving health as the foundation and purpose of the exercise, this is Wujijinggong. 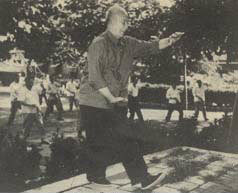 Not only Wujijinggong attaches great importance to the skills of attack and defense in Taijiquan and the exercises in Qigong, but also it researches into the theories of Taijiquan and Qigong, and other relevant philosophies, to arrive at the unity of theory and practice, thus to further develop Wujijinggong. The foundation of Wujijinggong was established by Master Chen Jisheng, of Tangshan, Hebei Province, China. Master Chen learned martial arts from his childhood under famous martial arts instructors. In his youth, he spent several years and tried his best to improve his martial arts. After that, he was fortunate to be accepted as a student by then famous martial arts Master Zhao Qingchang(1830-1927), from that time on, his level in martial arts was greatly improved. 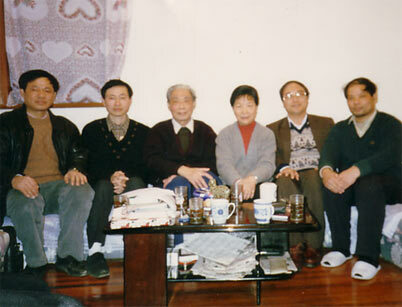 Master Chen later said: "I was fortunate to be accepted by Master Zhao. Master Zhao reached the highest level in martial arts, he was perfect; he was proficient in many schools of martial arts; when he practiced them, he was just so good at them in their forms and applications. The things he taught me were always the most important, and I have benefited greatly from his teachings." At a time, Master Chen went to other places to exchange strong points with other schools of martial arts, and to learn from each other; then he returned to hometown to do further research into martial arts with Master Zhao. Master Zhao did profound research into the essence of the many schools, and gave detailed explanation to the characteristics of the many schools. 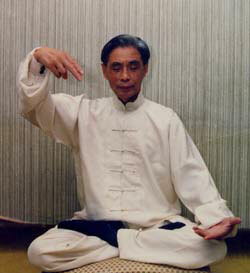 Later on, Master Chen absorbed the essence of the many schools of Taijiquan and created Jinggong Circular Taijiquan. Master Chen went to a lot of places and visited many masters of martial arts with his Jinggong Circular Taijiquan, and compared his Taijiquan with other martial arts, it was obvious that his Taijiquan was better. Jinggong Circular Taijiquan attaches importance to tranquility and relaxation, and extends them to a very pure state. Being circular requires coordination of the body, which in turn enables the movement to be circular; this not only gives winning edge in attack and defense, but also gives obvious effect in preserving health. Master Chen taught Jinggong Circular Taijiquan in Shandong Province, Shanghai and Nanjing. 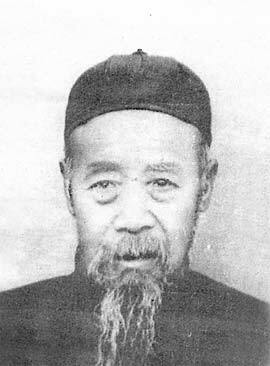 Master Lu Jitang was physically weak and was often ill. In 1948(31 years of age), He contracted tuberculosis and other serious illnesses, his life was in danger. He consulted many doctors and was hospitalised for many times, but his condition did not improve. Under the circumstances whereby medicine was not effective on him, he made up his mind to learn Jinggong Health Preserving Exercises and Jinggong Circular Taijiquan from Master Chen Jisheng. Master Lu said: "These two exercises both emphasise 'tranquility', these two are supplementary to each other; so when practicing, the feel of Qi is especially strong, and it changes a lot, makes me feel especially comfortable. The practicing of them had very good effect on my health which made me becoming very interested in the theory of Jinggong Health Preserving." Master Lu was determined to work out a system for health preserving to serve the mankind. Master Lu did research into the theories and practices of many schools of martial arts, he came to the conclusion that the key point of all is tranquility. He pointed out: " Tranquility is a balanced and harmonious movement within; by understanding and mastering tranquility, one can use one's potential fully to make the whole body balanced and harmonious, thus to cure diseases and preserving health." With decades of hardwork, Master Lu completed Wujijinggong Health Preserving Twelve Forms and other exercises, he also gave brilliant and detailed exposition concerning the principles of Taijiquan and Qigong. Master Lu has made great and unique constributions to the research of Taijiquan and Qigong, his work has attracted high level attentions and he has been spoken very highly for his work. Over the years, Master Lu has done a lot of work in promoting Wujijinggong, he has been to a lot of places both in China and outside China, he has made great contributions to the popularisation and development of Taijiquan and Qigong. Today, Wujijinggong is of good development tendency in China and several other countries. As it combines health preserving and martial arts,I am sure that it will develop continually, and it will give more and more benefits to the mankind.